Today's modern cars run a lot of electronic devices and equipments including air-conditioner, audio system, lightings, wipers, alarm, sensors, and many others. All these constantly saps power and consume a lot of energy, putting a lot of strain on the battery and alternator. 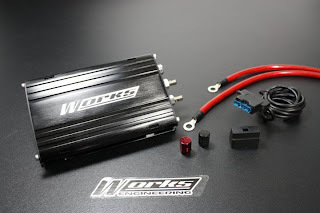 A 12v - 13.8v current may cause problems to the car's ignition system including incomplete combustion and carbon build up. In the long term this reduces compression ratio, less bhp, slower acceleration and increasing fuel combustion. Works Pro Energizer offers robust, maintenance free protection for electrical loads to prevent erratic operation or equipment damaged caused by power sags or surges. ~Improves ignition, fuel burn, fuel efficiency.